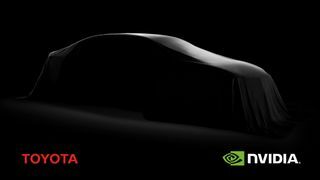 NVIDIA today announced that it is collaborating with Toyota to deliver artificial intelligence hardware and software technologies that will enhance the capabilities of autonomous driving systems planned for market introduction within the next few years. Toyota, one of the world's largest automakers, will use the NVIDIA DRIVE™ PX AI car computer platform to power advanced autonomous driving systems planned for market introduction. 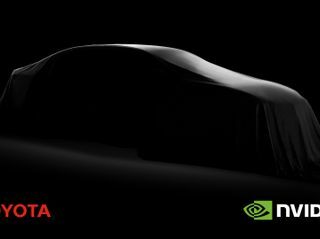 Engineering teams from the two companies are already developing sophisticated software on NVIDIA's high-performance AI platform that will enhance the capabilities of Toyota vehicles, enabling them to better understand the massive volume of data generated by sensors on the car, and to handle the broad spectrum of autonomous driving situations. "Toyota has worked on autonomous driving technologies for over 20 years with the aim of reducing traffic fatalities to zero as an ultimate goal, achieving smoother traffic, and providing mobility for all," said Ken Koibuchi, executive general manager at Toyota. "Through this collaboration, we intend to accelerate the development of autonomous driving systems that are even more safe and capable." "We envision a future society where autonomous vehicles whisk people safely and comfortably around beautiful cities," said Jensen Huang, chief executive officer and founder of NVIDIA. "The development of a self-driving car is one of the greatest technical challenges that's ever been tackled. "We're combining breakthroughs in AI and high performance computing to build NVIDIA DRIVE PX, the brain of the autonomous car. Today's announcement with Toyota is the strongest indication that this autonomous future will soon become a reality," he said. AI, and specifically deep learning, has become an important tool for the development of self-driving vehicles, particularly because of its ability to recognize and handle the nearly infinite number of scenarios encountered on the road. Autonomous vehicles require an onboard supercomputer to process and interpret the data from all the sensors on the car. While many prototype vehicles contain a trunk full of computers to handle this complex task, the NVIDIA DRIVE PX platform equipped with the next-generation Xavier processor will fit in your hand and deliver 30 trillion deep learning operations per second. The DRIVE PX platform fuses data from cameras, lidar, radar and other sensors. The system can then use AI to understand the 360-degree environment surrounding the car, localize itself on an HD map and anticipate potential hazards while driving. In addition, the system software receives updates over the air, so the car can become smarter and smarter over time. Certain statements in this press release including, but not limited to, statements as to: the impact and benefits of NVIDIA's collaboration with Toyota; and the benefits and performance of NVIDIA DRIVE PX are forward-looking statements that are subject to risks and uncertainties that could cause results to be materially different than expectations. Important factors that could cause actual results to differ materially include: global economic conditions; our reliance on third parties to manufacture, assemble, package and test our products; the impact of technological development and competition; development of new products and technologies or enhancements to our existing product and technologies; market acceptance of our products or our partners' products; design, manufacturing or software defects; changes in consumer preferences or demands; changes in industry standards and interfaces; unexpected loss of performance of our products or technologies when integrated into systems; as well as other factors detailed from time to time in the reports NVIDIA files with the Securities and Exchange Commission, or SEC, including its Form 10-K for the fiscal period ended January 29, 2017. Copies of reports filed with the SEC are posted on the company's website and are available from NVIDIA without charge. These forward-looking statements are not guarantees of future performance and speak only as of the date hereof, and, except as required by law, NVIDIA disclaims any obligation to update these forward-looking statements to reflect future events or circumstances.